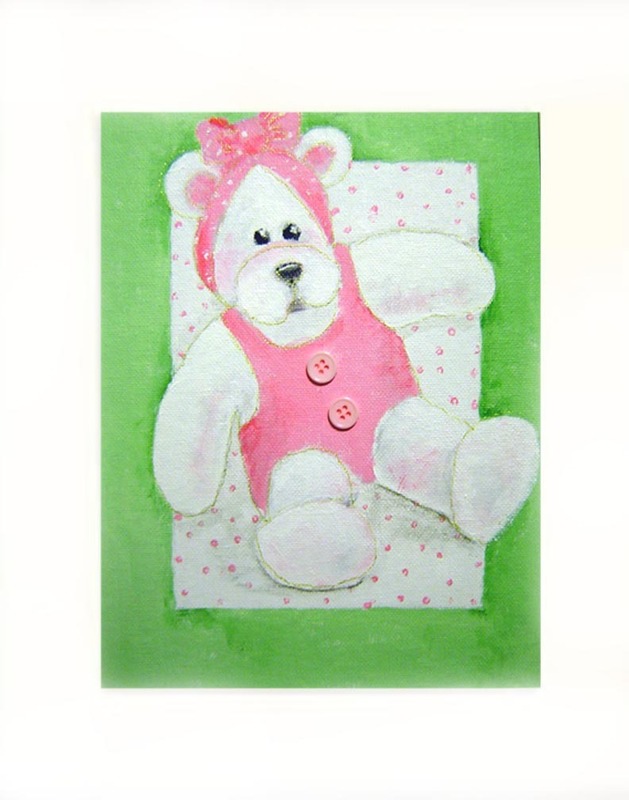 Girl teddy bear dressed in green and white checkered jumper with a green and white polka dot scarf. Image is framed in yellow with white polka dots. Original hand painted in acrylic on canvas board. Decoupaged paper jumper, with real buttons on original. Available as a print 8" X 10" - matted in white. Original art ï¿ Janie Thompson-Lide. The artist retains copyright to all works. Copyright is not transferable with sale. Reproduction without written consent is strictly prohibited.